This summer, be on the lookout for some trendy fashion jewelry staples. Check out unique fashion accessories on Boticca.com to quench for fashion thirst. 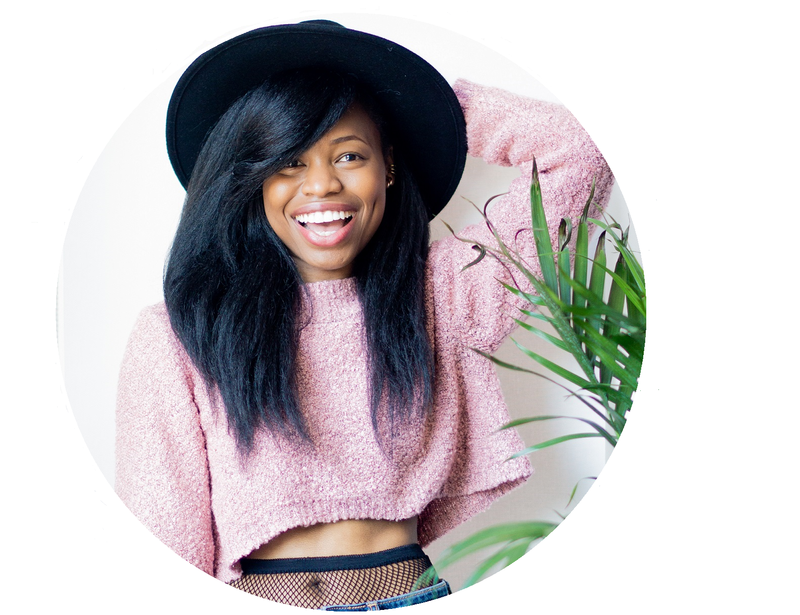 Boticca is an online platform for independent fashion accessories and jewelry designers from all over the world to sell their collections. This treasure trove of jewelry designs allows you to get something that no one else has, which keeps you well ahead of the steep fashion curve. ♥ From the beach to the bar, boho is back and bigger than ever. The summer is positively littered with music festivals all over the US and Europe. Whether you have bagged those sought-after tickets or not, a bohemian touch like this Sweetlime Sunshine Carnival necklace can bring the festival to you. ♥ If you're more of a summer cocktails kind of gal, then perhaps you'll want to dress yourself in chic, unique jewelry from Boticca. This Gag&Lou Spring Charm necklace might have spring in its title, but it's perfection for summer. 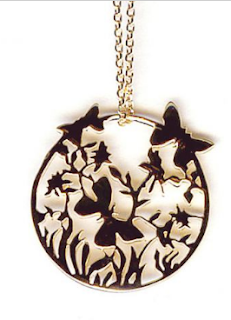 This necklace is fashioned with fluttering butterflies that practically jump off the pendant. ♥ Another great fashion jewelry trend to try this summer is the tribal look. 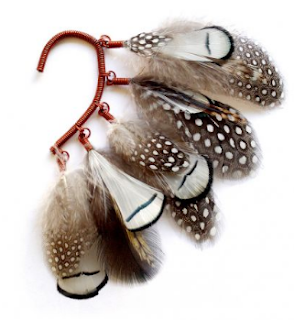 If tribal inspired pieces are more your style, then check out this beautiful Anni Jurgenson Feather ear cuff creation. The cuff is made of an assortment of feathers and easily fits around either a pierced or un-pierced ear. 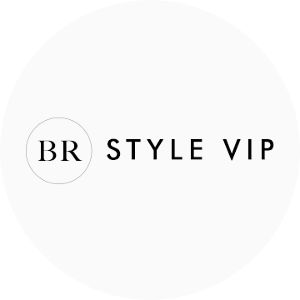 Whatever your style, Boticca has what you need, all made by independent designers with real stories who love what they do. So what's not to love about that? 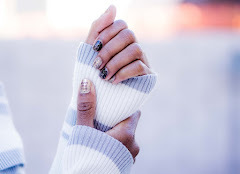 What jewelry trends are you into this summer? I love the second one, so classy and wonderful! Thanks for introducing us to this amazing jewellery boutique...I can see myself falling into the tribal trend. Hope you have a good start to the week dear! ALL OF THEM ARE AWESOME !! How awesome is that ear cuff! That neon bit is intriguing- and fun looking! 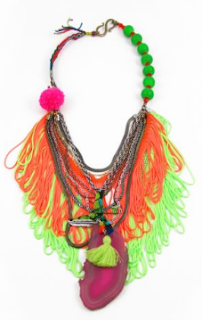 Bohemian is back and is great , but I love all the neon accented jewelry popping up everywhere! oh and BTW, I live off a lagoon in Foster City to be exact. I am a HUGE fan of statement necklaces! Wow! I don't wear much jewelry, but I'm thinking for an upcoming beach trip I might try bright, solid, non-metal pieces.